The 6th Lonville Classic did it again! - What is happening in the world of Lonville? What is happening in the world of Lonville? The 6th Lonville Classic did it again! 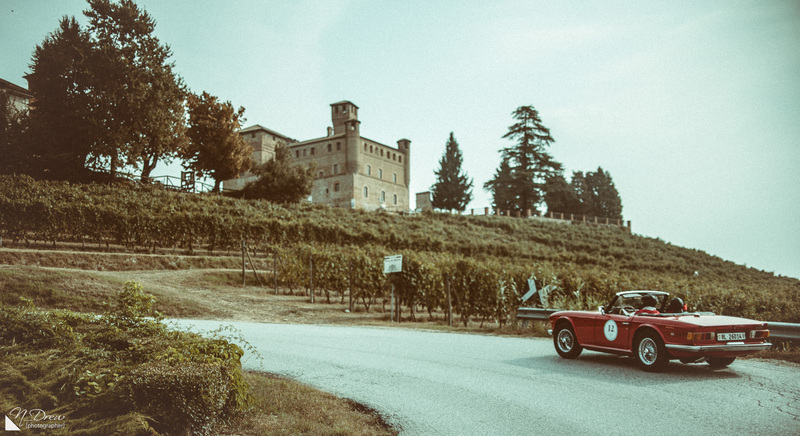 Great people, classic cars, the glowing hills of Piemonte, fabulous chefs, incredible wine, delicate truffles and plenty of sun once again provided that magic cocktail called The Lonville Classic. And yes, there were some amazing watches present too. For most of the 36 participants of 10 nationalities the story started weeks before. You see, both man and machine need to be in fine fettle to take part in this somewhat unusual rally. Unusual because the entire premise of this regularity rally is to actually forget about time. We call this A Lonville Moment. It’s a moment where you are doing something you truly love and right that moment, you forget about everything else. With a glass of local Barbaresco in the hand and some fantastic finger food, the driver briefing started on Thursday evening at Villa d’Amelia, our hotel for the duration of the event. This was the sixth edition of our deliberately small event and more than half of the people were participants of previous years, making for lot’s of laughter and some good memories. So, with the ‘informal but spectacular’ tone set, the long week-end was ready to go. 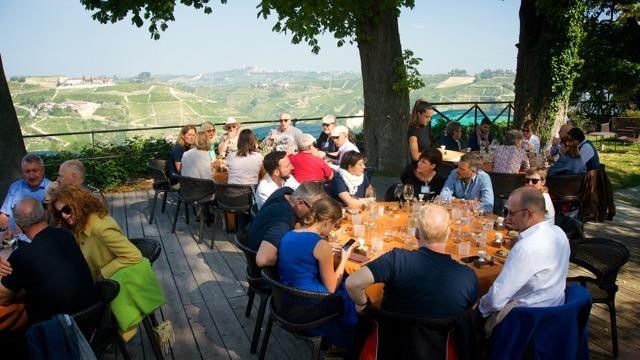 Over the next three days The Lonville Classic took participants on a whirlwind of piemonte’s most beautiful, tiny, roads visiting some of the best restaurants of the region, the majority with a michelin star. But it is not the star per see that matters, it’s the blend of all that scenery, the superb food, matched wines and the good hearted people that makes places like Guido da Costigliole (at Relais San Maurizio) or La Ciau de Tornavente or Chef Damiano Nigro’s Gastronomic (at Villa d’Amelia) so unforgetable. Oh and while you are there next time, you must give yourself a few minutes to look at La Ciau’s wine cellar. Wherever you have been and whatever you have tasted, think impossible, and then double it! Richard & Miki following a banana? But it was also about enjoying the hospitality of the mayor of Monforte d’Alba who kindly let us use his square for one of our stops, and the twin brothers running Grappolo d’Oro where morning coffee, cakes and fresh juices were served right next to our cars! Yes, there was plenty of driving too. Lonville prides itself on sending cars on some of those impossible to find winding roads that cut through the vineyards and nuts trees. Roads where you can touch the grapes by just putting your hand out of the window. Most rally stages were based on timed tulip navigation, but as per our tradition participants also need to paint, dart and look fabulous to match their cars. It’s all part of the fun and with cars from various decades the Lonville Classic tends to stop the traffic wherever we pass. The scenery and the drivers were absolutely stunning and there is something special when you see, in the distance, a number of classic cars finding their ways over vineyard lined glowing hills. Winning a rally like The Lonville Classic is not easy. It is not only about excellent navigation or perfect time keeping. It is also about accepting that the game-rules sometimes change, about helping others when they need it, and of course about bringing a sense of humour. Still, there were winners. This year, after a few deliberately vague instructions and having fallen in the trap of changing game-rules we had three teams that were nearly unbeatable. The Whitehouse Brothers in their porsche 911, Cecilia and Alessandro in their VW Beetle convertible and, our very own Mimi and Nico in their Karmann Ghia (also known as yellow banana). Karmann of Mimi and Nico is always having fun, and always top 3! After all was said and done, the Whitehouse Brothers won the 6th Lonville Classic, having entered the rally now for the 4th time. Part of wining means that their white Porsche Targa will feature on the Guy Allen penned rally poster of the next Lonville Classic. The final lunch and price giving took place at the incredible wine estate of Cordero di Montezemolo where 19 (yep) generations of the same family are looking after wine making which has now reached incredible levels. Lunch at Cordero di Montezemolo is truly by invitation and we were fortunate enough that the family made this suggestion to us during last year’s short visit to their estate. It was one of the Whitehouse brothers that told me the magic of the Lonville Classic is all of the above but also the way in which the event is organised and run. As everybody knows by know, we like to live La Dolce Vita, but we also like the feeling of a like minded group of people having a great week-end. And so does the amazing crew (Matt, Margarita, Jana, Amadea, Gianclaudio, Fabrizia and Elio) – thank you all very much for giving up your free time and joining the madness. A special thank you to Matt. Below a few more participants and crew members in either cool outfits, great poses, or just having coffee. And of course a thank you to Chiara for putting up with me and my ‘things’. Thank you all very much for yet another great Lonville Classic, perhaps our best so far, and looking forward to the next one! Take care, Joost. Hitesh M.Mehta on Here we go…Virage is alive!